Discover the joy of empowering students. STEM Advocacy opportunities are volunteer based programs that are meant to encourage and promote the importance of STEM. 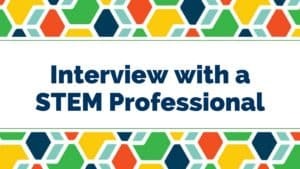 From key-note speakers to panel discussions, STEM advocates speak to students about their journey, struggles, and, ultimately, triumphs in their education and career. STEM cafe volunteers speak to highschool students on the STEM topic of their choice. 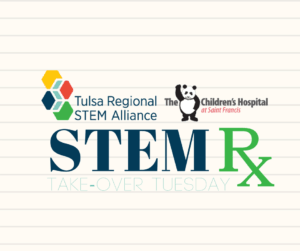 STEM Rx volunteers work with children at the St. Francis Children’s Hospital, providing STEM learning and playing opportunities to kids and families admitted to the hospital. STEM professionals that want to share their story are invited to send in a video to be featured. These videos are available for teachers and students to view. Want to find out more or sign up for one of our volunteer opportunities? Contact us and we'll help you find a program that fits! Please email volunteer@tulsastem.org for more information.